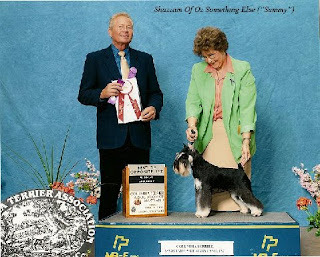 Miniature Schnauzers etc. : Lulu with her show babies! but she is sure on a way to earn her honorable title of "Top Producer". and not that many dogs earned that level of recognition. (son of Blackwitch Trend Setter). kept a boy "Ringer" ("Camron's Let Freedom Ring"). In a short time Carol finished him as a Champion. 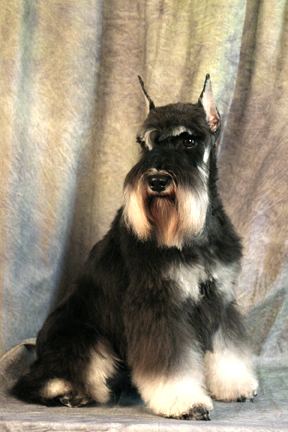 You can see this beautiful dog on picture above. owned by another our dear friend - Chris Hilman. 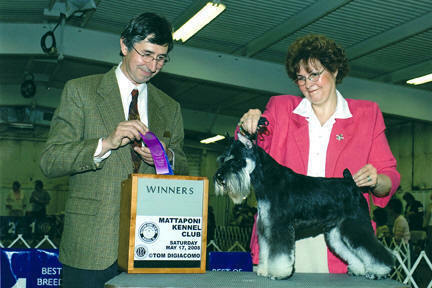 Out of Dakota we kept 3 beautiful puppies and later two of them hit the show rings. Shazzam of Oz Something Else "Sammy" was a first one to go and there she went!.. Montgomery County KC National Specialty 2010.
just started his show run late spring of 2012.
and now on his way to become our third beautiful Lulu-pup to be finished. 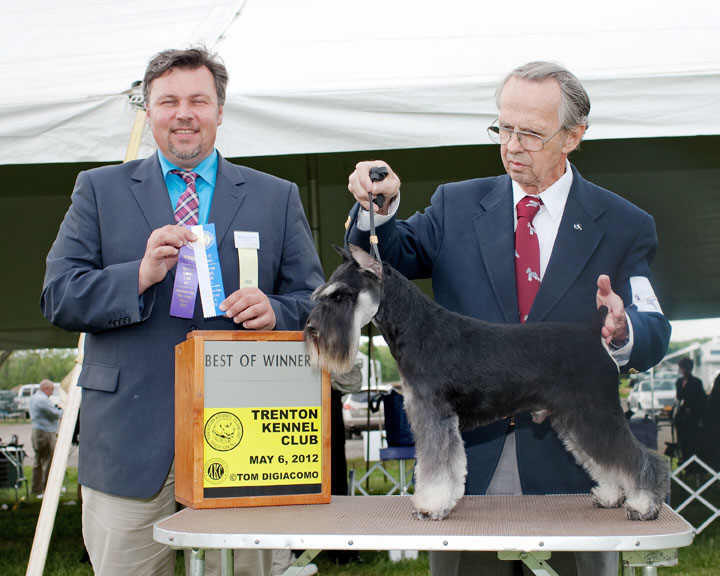 Like usually, this dog is being expertly handled by Carol and Ron Meitzler. Thank you, my friends for all You do for us!